Jupiter finds new start with a new agency. 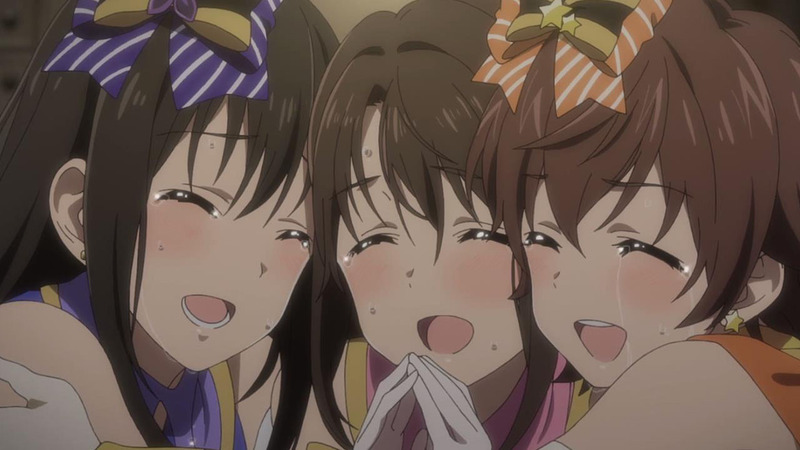 Continue Reading "THE IDOLM@STER SideM – 00"
Success, and drama, are fueled by tears. It’s yet another idol anime, maybe, but none try to be as substantive as Cinderella Girls was. Continue Reading "THE IDOLM@STER: Cinderella Girls 2 – A Case for Adolescence"
So much positivity! This light! It buuuurnses us! Continue Reading "THE IDOLM@STER: Cinderella Girls – 01"
Featuring: none of the scenes in this excerpt. 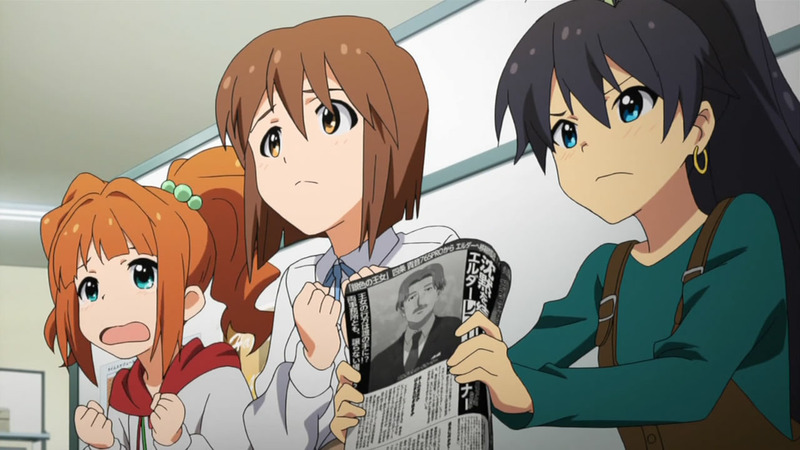 …Look, if you’re an IDOLM@STER fan you should have watched it anyway. 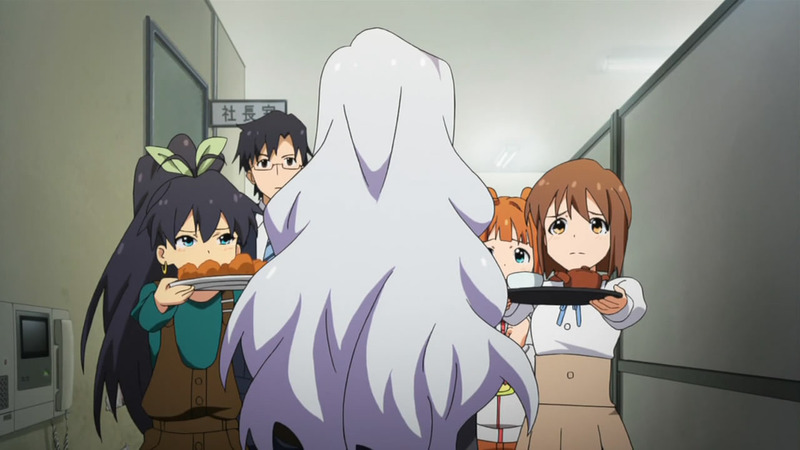 Continue Reading "THE IDOLM@STER MOVIE: Kagayaki no Mukougawa e!" I was anticipating A-1 Pictures to pull out all the stops for the 765 Pro’s New Year Live, but they really outdid themselves with a fully animated, 2.5-minute special performance of “READY!! & CHANGE!!! !”, followed up by a second insert song, “Itsudemo mo, Dokodemo mo”, before wrapping the series up with one more ending theme. 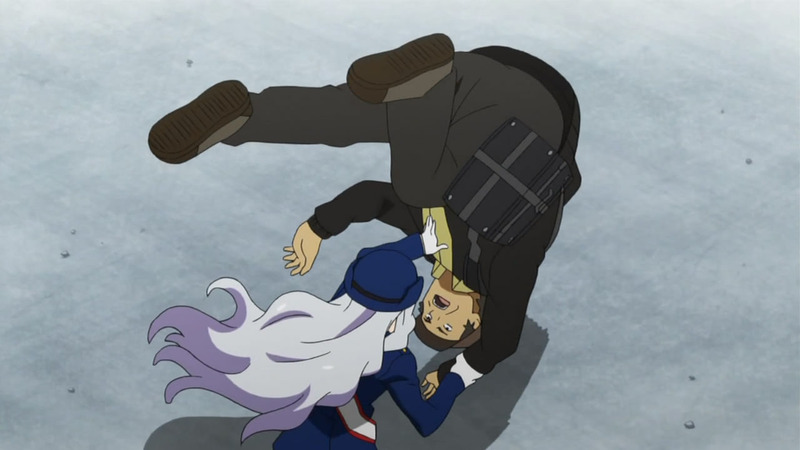 It was just about everything I could’ve asked for in IM@S’ finale. 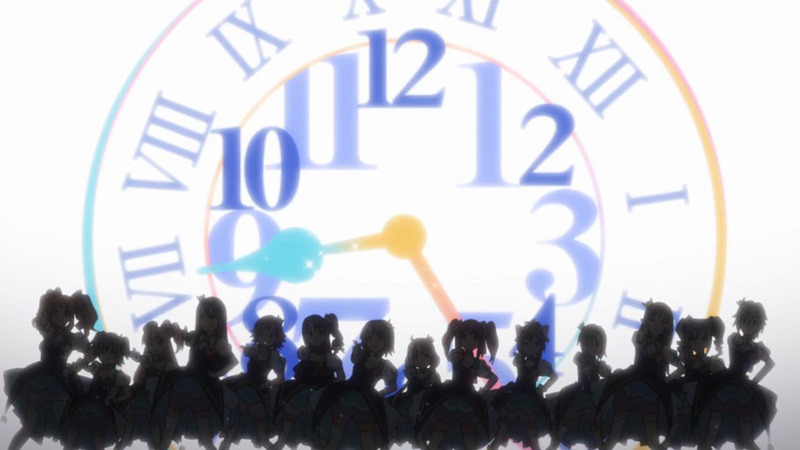 Continue Reading "THE IDOLM@STER – 25 (END)"
Up until about a month ago, it would’ve been nothing more than a joke to consider IM@S as one of the best dramas of year, but this recent string of episodes has really made a case for the series. Of course, it never hurts when the budget’s been blown for this episode, where we finally get a resolution to all of Haruka’s bottled up feelings. Continue Reading "THE IDOLM@STER – 24"
If one of the goals of this IM@S adaptation was to turn to make it one of the most unexpected dramas of the year, the producers should give themselves a pat on the back for a job well done. Continue Reading "THE IDOLM@STER – 23"
It’s a tad bit early, but with the holidays quickly approaching, the timing of IM@S’ Christmas episode is probably about as good as it gets. Compared to recent weeks with Chihaya’s traumatic past and 961 Pro’s meddling, this was easily one of the more uplifting episodes to roll around too. 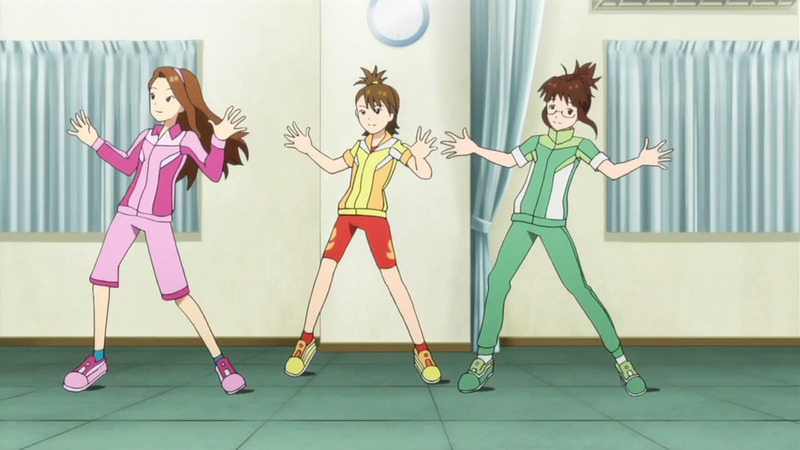 Continue Reading "THE IDOLM@STER – 22"
A follow-up to Chihaya’s subplot, a resolution to the 961 Pro/Jupiter problem, and an unexpected performance by Kotori that ties Takagi and Kuroi’s past? Suffice to say, IM@S continues to push forward with its mini drama, providing an extra dimension to the series that one wouldn’t expect. Continue Reading "THE IDOLM@STER – 21"
With all the build-up toward Chihaya’s episode, this truly had the makings of a series finale and could have easily passed as one. The drama felt very real and the support that Haruka and the rest of 765 Pro showed Chihaya was incredibly moving, so much so that I couldn’t help but shed some tears by the end of the episode. This is easily the biggest tearjerker I’ve watched in the past while, and really showed that IM@S is much more than a slice-of-life series with an idol twist. 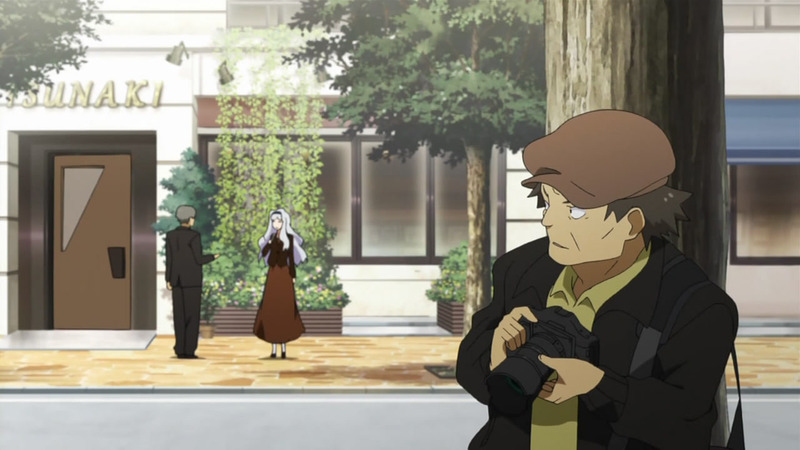 Continue Reading "THE IDOLM@STER – 20"
For Takane’s episode, it’s kind of a shame that she’s also subject to more of 961 Pro’s ongoing defamatory attempts, but luckily she handles herself pretty well against a paparazzi named Shibusawa (Matsumoto Dai). It also led to some really adorable moments care of Hibiki and Yukiho when they thought Takane was going to transfer agencies and join Elder Records. Continue Reading "THE IDOLM@STER – 19"
Ritsuko fans will likely be both pleased and disappointed with this episode, as we got to see her stand in for a mumps-ridden Azusa with some of the shoddiest artwork to date. The quality has always fluctuated with some shortcuts taken when possible, but wow, this week was a doozy since it looked like the animators finished the episode in their sleep. 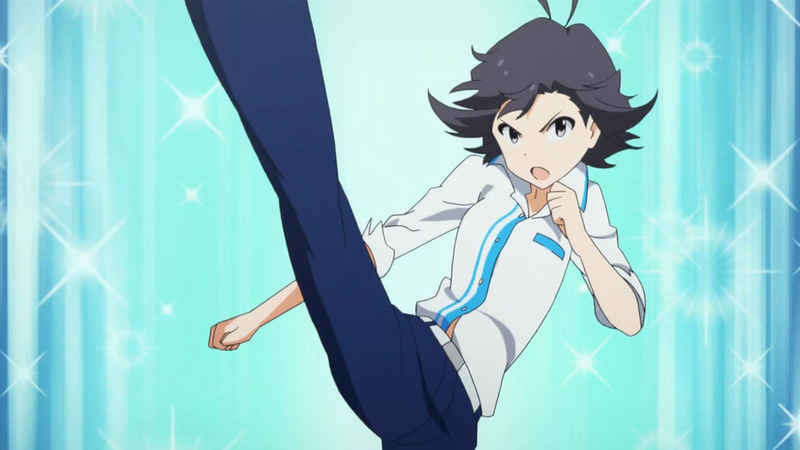 Continue Reading "THE IDOLM@STER – 18"
You know, I tried to go with the flow of this episode and see Makoto as a girl — I really did — but it’s so damn hard to. It’s like they designed her character so well that it’s practically impossible to her any other way. Sorry Makoto, you’ll forever be the idol prince who dreams of being a princess. Continue Reading "THE IDOLM@STER – 17"
Well it sure didn’t take long for Kuroi and Jupiter to start sabotaging 765 Pro’s rising success again. I guess I should be grateful that there was even an episode in between where I didn’t have to see their cocky mugs. Continue Reading "THE IDOLM@STER – 16"